Eddison Zvobgo was both implicated in and a critic of Mugabe’s rule. He paid for it. His niece remembers him. We do not want to create a socio-legal order in the country in which people are petrified, in which people go to bed having barricaded their doors and their windows because someone belonging to the Special Branch of the police will break into their houses. This is what we have been fighting against. On August 22, my family, strewn across the globe, remembered the life of Eddison Zvobgo—my uncle, our family patriarch, and one of Zimbabwe’s great men—whose life ended in 2004 after an arduous battle with cancer. With Zimbabweans once again facing an uncertain future, I have been reflecting on his life and involvement in the struggle for Zimbabwe, and wondering what he, and others who sacrificed so much for the nation, would make of contemporary politics. 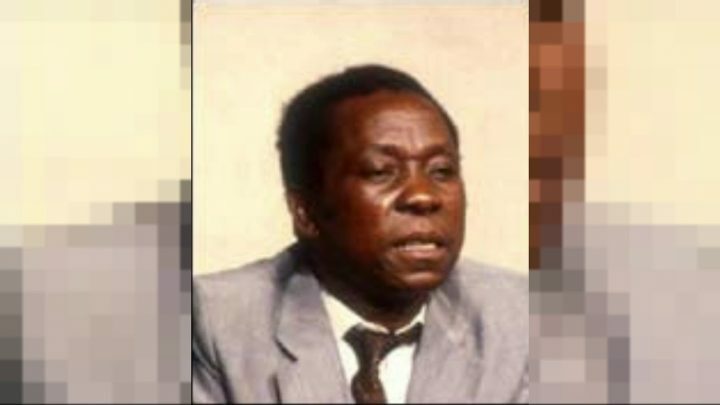 A Harvard-trained lawyer, poet, and the ZANU-PF spokesperson at the Lancaster House where the eponymous Agreement brought recognized independence to Zimbabwe, Eddison loved his country and served it throughout his life, even at great personal cost. Like anyone, Eddison was a flawed and complicated man. Before becoming a critical voice against former president Robert Mugabe—who for decades took all means necessary to maintain his grip on power—Eddison had not only been Mugabe’s co-partisan but also his ally. They had fought together in the liberation struggle and, along with many others, emerged as heroes. A brilliant legal mind, Eddison helped legislate the single-party state Mugabe governed—a reality that even those who loved him cannot ignore or forget. However, as Mugabe defied the law, term limits, and civil liberties, Eddison began to publicly challenge him. One notable challenge was over Gukurahundi—the massacres in which an estimated 20,000 Ndebele people were killed. Eddison was one of the very few ZANU leaders to ever recognize and apologize for Gukurahundi notwithstanding the political taboo. These defections from mainstream ZANU politics cost him dearly. Once Minister of Justice and, later, Minister of Parliamentary and Constitutional Affairs, Eddison was demoted over the years, first to Minister of Mines then to Minister Without Portfolio. Finally, in 2000, Mugabe removed him from the cabinet altogether. At a different time, under different circumstances, Eddison may have been president of Zimbabwe. But, I suppose we will never know. Every one of us has been in jail ten years, fourteen years, I myself nine, without trial. Every one of us has lived, has had to live, scared of the police. How on earth could we create a society which is exactly like that? We don’t want it. We are fed up of it. And, this is why we are in this revolution for as long as is necessary, to abolish this system. Forty years later, Eddison’s question resounds still. How on earth could we create a society which is exactly like that? Zimbabweans today live in fear of harassment, intimidation, and political violence by the police and the military. And, they don’t want it. They are fed up of it. So, I wonder: Will the revolution begin anew, this time to dismantle the party Eddison helped found and remove its leaders from power? My uncle Eddison—or babamukuru, as I called him—made an indelible mark on my life, and I wish he could see me today. Now pursuing a political science PhD, I, like him, pry into the uncomfortable and criticize the party and the regime, albeit from a safer distance. He was a poet, politician, and patriot. But, to me, he was first and foremost my uncle, my dad’s big brother. He remains the smartest and funniest person I have ever known. He taught me to be sharp, competitive, and, above all, courageous. How I loved him. Chengetai JM Zvobgo’s biography, The Struggle for Zimbabwe 1935-2004: Eddison JM Zvobgo is recently available from Mambo Press (Gweru, Zimbabwe).